Enes Olgun is considered a network master. There has got to be some truth to it, especially since he has hit the mark of $130,000.00 a month. Not bad for someone who’s not even 30-years old. He has been with the multi-level marketing company Mega Holdings for five years. In that time, his team has grown to over 65,000 members, and it continues to grow steadily on a daily basis. This young man is one hard working and dedicated individual. To get this far in this short a period of time, it is remarkable. If you are older, think back to when you were 20 years old. Were you this ambitious? Were you thinking of creating and operating your own business? For me personally, if I knew I could be a millionaire in five years, I would have definitely gone for it. In fact, I did. That is how come I have personally been involved in so many MLM companies out there. 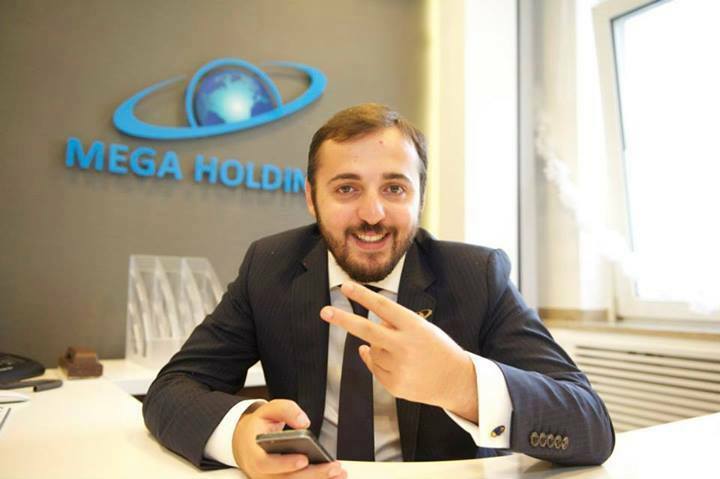 Enes Olgun is from Istanbul, Turkey, and he says that being a Mega Holdings consultant has given him the financial freedom that he has always dreamed of. He has given many presentations on the network marketing business worldwide. If you are wondering what his secret is, he believes (I am going to paraphrase) that in order to be successful, you have to get up and get moving. Not bad advice at all. There is an old saying or Proverb that says, a rolling stone gathers no moss. Meaning that if you are moving, then you can not get stale and stagnant. He says you can’t be complacent if you want something badly. His three keywords by which he lives: love, believe, and serve. How cool is that? This young man is a great combination of business smarts and high-quality personal characteristics. You are important (his words)! His attitude is to live life to the fullest, and you shouldn’t worry about tomorrow. You will have enough problems in just today alone. He also says you need to be true to yourself and the people around you, including your family, friends, and even your independent distribution team. He is absolutely right, and if you are thinking about being in the MLM business, I would really take this to heart. If you are unreal, if you are not sincere about the products or services you are selling to your customers, you will not make a dime. And how then, do you expect to try to convince this person to become a distributor? Enes Olgun says he doesn’t like mean people, or people that are high maintenance. This part of his personal profile I really found interesting. He says that he lives each day as if it is his last, because one day it will be. What would the world be like if we all lived by this same philosophy? I can almost guarantee you that a lot of the petty mess that we see in the world today would be obsolete! Who would have time for that crap? What a highly intelligent man Enes Olgun is. After reading his story, it is no wonder he is a MLM top earner with the Mega Holdings network marketing business. You want to find out more about him? Check out his website at www.enesolgun.com. He sounds like someone I would love to meet and work for. Now, it isn’t a surprise that his team is over 65,000 strong. He has the ability to draw people to him with his personality. A leader that loves to laugh and treat others with respect, is one that knows what leadership is all about. Enes will tell you that he really loves his profession. Well, the evidence of that is that, he holds the title of Mega Star, the highest position that any independent distributor in Mega Holdings can receive. I would like to point out a couple of facts from Enes’ personal story. First and foremost, you will notice that Enes loves people. He not only loves people, he cares about them. I have written over and over again on this MLM blog that in order for you to be successful in the network marketing, you have to care about people first, and the money second. It just will not work for you if you are going into it just for the six figure monthly income. Yes, it is nice, but a great part of your daily job will be to take care of your team. Did I mention that Mega Holdings is the first MLM Company Enes worked for? Wow, it seems like he came out of the gate swinging. Before joining Mega Holdings MLM business, he was a student, and his family took care of him financially. As a matter of fact, he was aware of another well-known MLM company, and he says he had no interest in multi-level marketing. One day, a friend invited Enes to join him at an event. He had no idea it was for Mega Holdings. When they met, his friend introduced him to the company and the compensation plan. He became interested, and he joined that day. As they say, the rest is history. A real nice, prosperous history. When Enes first joined Mega Holdings, he was all about the money. Most people would be, right? I mean seriously, that is why you are on this blog at this very moment reading about this because you want to see how this top earner made such great money and you want to see if you could possibly be the same. Am I right? In his case, this actually was a blessing. He discovered that MLM is a treasure, meaning the relationships he has developed with his customers and his distributors are priceless. Enes has discovered plenty about himself as a result of being a Mega Holdings consultant. Although when he first got started, he had no idea where to begin. But once he got started, there was no stopping him. He started to see the bigger picture beyond just the dollar signs. He experience the training, the challenges, the down lines, the product, and the company as a whole. He said that everything that happened during this period, the good and the bad, made him a better person. It also helped him developed as a person. Did I mention this mutli-talented, multi-level marketer is also the author of four books? I am wondering where he found the time! At the ripe old age of 25, he has traveled around the world, and he did it with his own money. Coming into MLM, Enes Olgun says that for him, it was like looking for gold, but he found a diamond instead. This is really nice. Enes Olgun thinks of his team as “a group of powerful individuals with different capabilities and backgrounds, meaning everyone brings something to the table. His mentor is Dr. Hedi, who told him that anything was possible, and that he could achieve what he wanted if he put his mind to it. In the last five years, Enes has earned several awards and accolades for his dedication. With what I have read, this comes as no surprise. Mega Star Award – This is the top award given out by Mega Holdings. With this award, he also got a Rolex watch and a certificate for being a Fast Achiever. Enes says that he couldn’t haven’t accomplished all he has without the love and support of his family. They were the ones that gave him motivation and inspiration. When he was growing up, his family wasn’t wealthy, and they had to budget for food, shelter, and clothing. As with all middle class families, money was definitely was an issue. I know most people can relate to that. You have to watch every penny you earn and spend. You can’t eat at your favorite restaurant until you save up enough money. You can’t take a vacation until you save up enough money. Just thinking about it can be depressing. If you have a car, you may or may not have money for gas. It is all part of life and it takes money to live. And before any of you nah-sayers out there start preaching to me, just remember that MONEY is NOT the root of all evil, as so many people like to quote. It is actually the LOVE of money that is the root of all evil. So, in other words, if you love money more than anything else, then that is evil. But, if you use the money that you gain to help others, then that is a very good thing indeed! How is Enes living now? He owns a Maserati, an Audi, and a Jaguar. He also bought new cars for his sister and father. I wish I was his sister. LOL! He travels wherever, whenever he wants. His biggest love, however, is the freedom he has financially (that sounds familiar if you read this blog regularly). Can you make money with Mega Holdings? 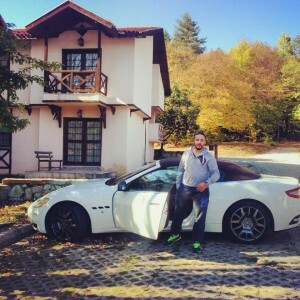 Enes will be the first to tell you that his success with Mega Holdings has been a journey. He has built a great infrastructure in Europe, and his goal is to build one in the U.S. He advises anyone to start their own business. He says it is nice to have a job, but there is no future in just working for someone else. If you think you don’t have the time to put into a MLM marketing business, he says to commit to an hour or two, and you will see the difference. He guarantees you will not be sorry. If anyone should know, it should be Enes Olgun. Wondering what exactly is Mega Holdings? Established in Malaysia in 1989, Mega Holdings is an eCommerce company that specializes in hosting solutions for businesses and individuals. Over the years, it has experienced international success, acquiring over 650,000 customers. In 2013, Mega Holdings expanded into Europe. The objective of Mega Holdings is to make everyone they come into contact with prosper. Those are big words, but if the life of Enes Olgun is any testimony, Mega Holdings seems to back it up. It also wants to be the most successful network marketing business in all of Europe. It seems this company is well on its way, as it is the leader of information technology, which we know is a growing sector worldwide. With network marketing, Mega Holdings has helped thousands achieve time and financial freedom. With direct selling, a customer of Mega Holdings can earn a commission for promoting and securing a sale for Mega Holdings. You have a choice to be a customer or a customer/ distributor/ independent business owner. Your income depends solely on you and how much effort you want to put into your network marketing endeavors. The MLM record of Mega Holdings is impressive. The company has never failed to pay a commission payment. Commissions are paid daily. If your money is tight, you know you have you money come from Mega Holdings. No wonder Enes Olgun is a top leader. Also, as a MLM consultant, you don’t have any weekly or monthly requirements. So to you, there is no risk involved. It is nice to see a multilevel marketing company that doesn’t make getting your money difficult or try and trick you by being a pyramid scheme or scam. Enes Olgun displays a level of maturity that you don’t find in men twice his age. He is an example to others, in his native Turkey, what you can achieve when you put the work in. Currently, he still works hard, and he inspires other young adults that they can reach their dreams. Enes Olgun regularly holds seminars nationally and internationally. His name has become prominent in the network marketing industry worldwide. The reason he is able to connect with people is his ordinary mannerism is that his message is, even someone as ordinary as himself can overcome any fears and be successful, reaching a higher peak. 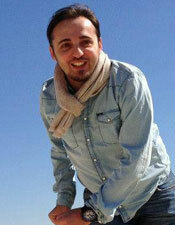 Enes Olgun says that your hopes are what can strengthen you and work wonders in your life. He believes that when people are able to summon great power, they will produce more. His task as a leader is to help his team members grasp it. It is his job to bring out the confidence in those around him (his words). This is what he does, and as a result, it has made his team more productive and his team delivers better results. He will tell anyone listening that they can create their own destiny, and they can fulfill all of their achievements. To see a young man in his twenties with such an unselfish personality is refreshing. I don’t know him personally, but I would sure like to meet him. He is the type of individual that I could learn from. What are your thoughts on this guy and his philosophy?